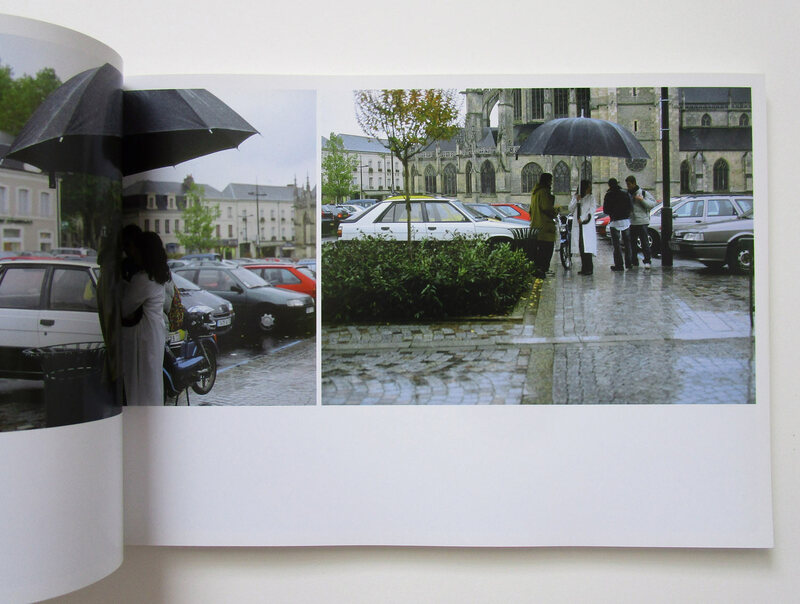 Aleksandra Mir, The Big Umbrella (Onestar Press and Galerie Laurent Goden: Paris, 2007). In the sidewalks of most cities, rain brings the traffic of umbrellas, their bulbous canopies brushing and bumping against one another as the pedestrians beneath make their way from place to place. From above it appears a steady, amorphous stream. On the ground, we do our best to keep from stopping or slowing, weaving between one another while keeping an eye out for puddles. Tempers flare, shoes are soaked, appointments missed. Inclement weather has a way of washing social graces out of public life. 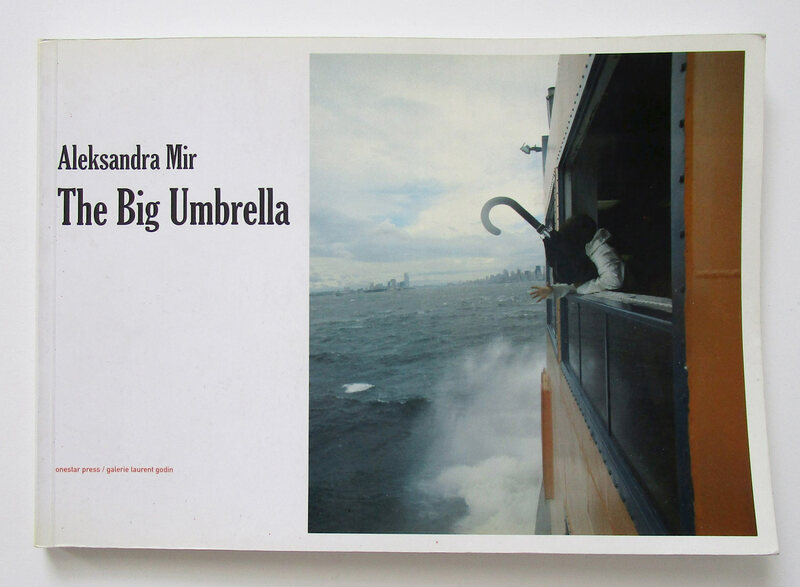 Mir commissioned the manufacture of a large—possibly the world’s largest—umbrella. Two meters tall and two-and-a-half in diameter, complete with a chrome shaft and crooked leather-covered handle, it could feasibly shield 16 people from a downpour. The question was, provided rain, would anyone join Mir underneath it? 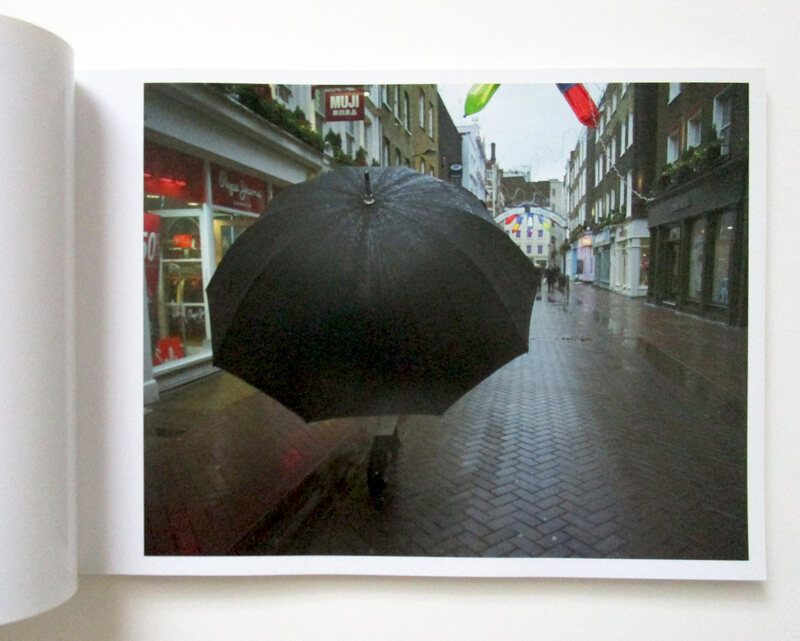 In May 2003 she began using the umbrella in Paris, and later travelled to London, Dresden, Copenhagen, Martinique, and finally New York City. Curator Edwige Cochois assisted the artist in Paris and London, and in each city a different photographer followed the unfolding event: Sandrine Aubry and Jason Schmidt (Paris), Heiko Prigge (London), David Brandt (Dresden), Anders Sune Berg (Copenhagen), Yann Audinot (Martinique) and Chris Verene (New York). Seventy-one of these photographs were exhibited at Jousse Enterprise in Paris in 2003, and an eponymous book appeared four years later. 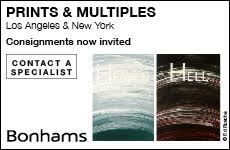 The use of multiple photographers results in a diverse array of images and styles, distinct from one another in their compositions and their proximity to the artist during these outings. In Paris, on the umbrella’s maiden voyage, Mir appears to be getting the hang of things as she inserts herself into social situations, and Aubry’s photographs are shot fast-and-loose in close quarters. In London, Mir struggled to garner public participation, the umbrella seeming to be perceived by other pedestrians more as an inconvenience than a point of conversation—though there is a wonderful scene in which the umbrella presents the perfect tool for helping a group of girls in a park dislodge a ball stuck in a tree branch above; they are surrounded by anxious dogs hoping to get back to their game of fetch. Rain was not always provided. In Dresden, the umbrella remains closed. Inside a large café or leaning on a park bench beside a canal, it acts less as an object shared with others than as a personal companion that Mir shoulders exhaustingly from one place to the next. In one photograph, she rests on a black leather Le Corbusier couch, eyes shut and head cocked against the cradled umbrella, while two suited men on either side of her carry on with a meeting, an array of papers and binders laid out on the table in front of them. This sense of isolation is repeated throughout Brandt’s photographs: in Dresden both the artist and her prop umbrella become fixtures in the backgrounds of the public spaces. In Martinique, the distance between the artist and the photographer, Audinot, grows wider: one photo, shot from hilltop, looks down onto congested highways and overpasses, and one really has to study the image to find the canopy of the umbrella crossing a street. In another, Mir, umbrella open, sits fishing at the end of dock several yards away from the photographer. In the last six images in the book Mir stands near the water in a white dress, the umbrella high over her head, inverted and broken as winds from an approaching hurricane—Ivan—beat against the shoreline. Joe McKay, One Week in October (Nova Scotia College of Art and Design: Halifax, 1992). The project continued without me in Copenhagen and Dresden, New York and Martinique. I saw the pictures and it reflects Aleksandra’s solitude. Things never happen as you expect. It’s maybe The Big Umbrella’s lesson. You can’t force things to become social and friendly. You have to do with people, their feelings. You can’t decide anything. There was a time when the weather report was observed with some ceremony. Mornings and evenings, people would gather in front of the television, as meteorologists stood against Doppler radar backdrops, gesturing to explain local conditions and cloud patterns and speaking with familiar authority. You knew their names, their witticisms and their reputation for accuracy. 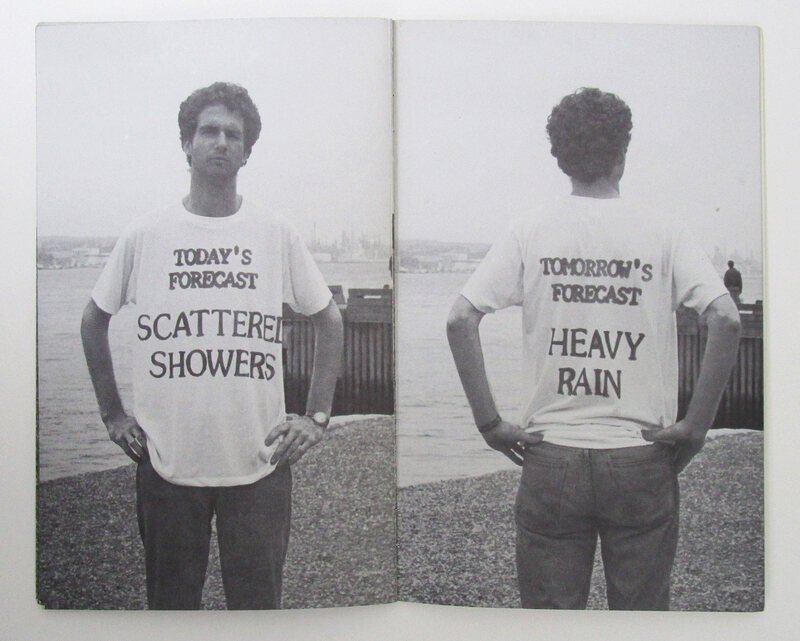 Joe McKay’s book One Week in October (1992) dates from that era of intimate weather reporting, a time before the Internet, before apps, before Google alerts. Made up of 18 black-and-white photographs, it is little more a pamphlet, initially unremarkable. 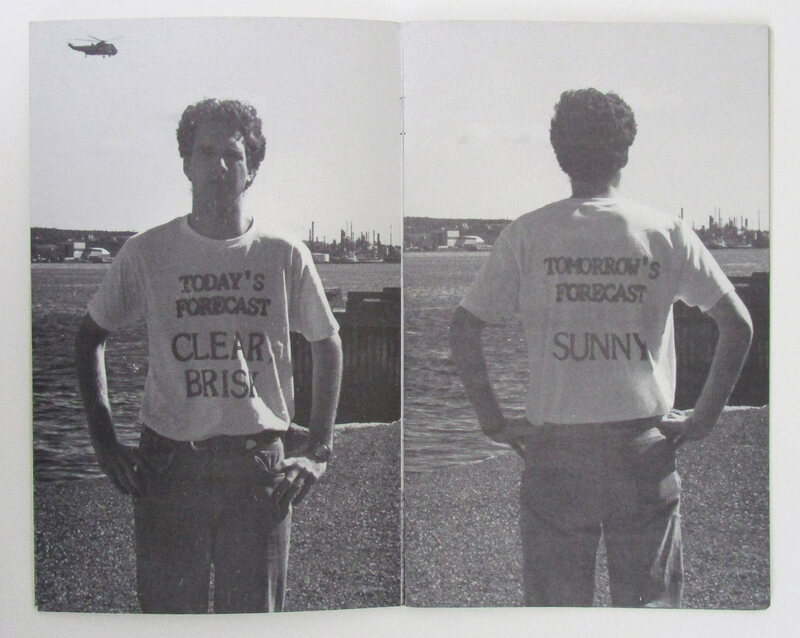 Each spread shows McKay twice: on the left he stands facing the camera, wearing a white T-shirt that reads “TODAY’S FORECAST” at the top, and below, in large type, offers a forecast that changes from picture to picture: “PATCHY FOG,” “CLEAR, BRISK,” or simply “SUN.” On the right-hand pages of each spread he stands with his back to the camera, and the shirt reads “TOMORROW’S FORECAST” followed by more weather. This pattern repeats itself, but the forecast is never the same. The book was produced in Halifax, Nova Scotia, in 1992, where McKay completed his BFA. The title alludes to a single week of October though the specific week is not identified, and the order of the forecasts seems irrelevant, as does the actual weather in question. 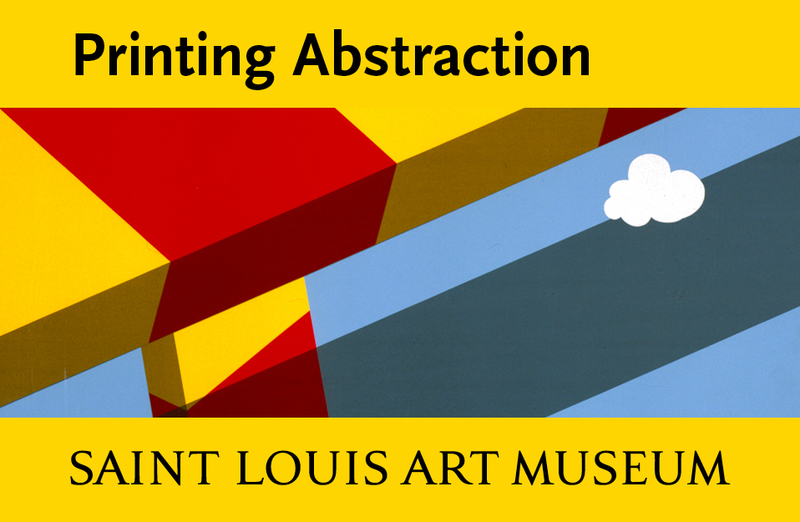 The work was about a particular type of language, one whose vague distinctions (i.e., partly sunny or partly cloudy) serve less as a practical resource than as contemplative measure for venturing outside. To apply the text to the shirt, McKay attached a stencil to a window screen through which he sprayed paint onto the fabric. He repeated the process daily with a new forecast, returning to the same location to shoot the photograph. Meanwhile, those with an interest in the history of artists’ books and publications will want to be aware of a recent title from Koenig Books London, Artists’ Publications: The Belgian Contribution (2017), the first comprehensive survey of the artists’ books in that country. Author, curator and collector John Pas begins at the turn of the 20th century with French livres d’artistes, which he calls the “pre-history” of the form. Their influence mingled with those of Belgium’s other abutters—Germany and the Netherlands—to produce a progressive and distinct approach. Johan Pas, Artists’ Publications: The Belgian Contribution (Walther König, Cologne / Koenig Books: London, 2018). 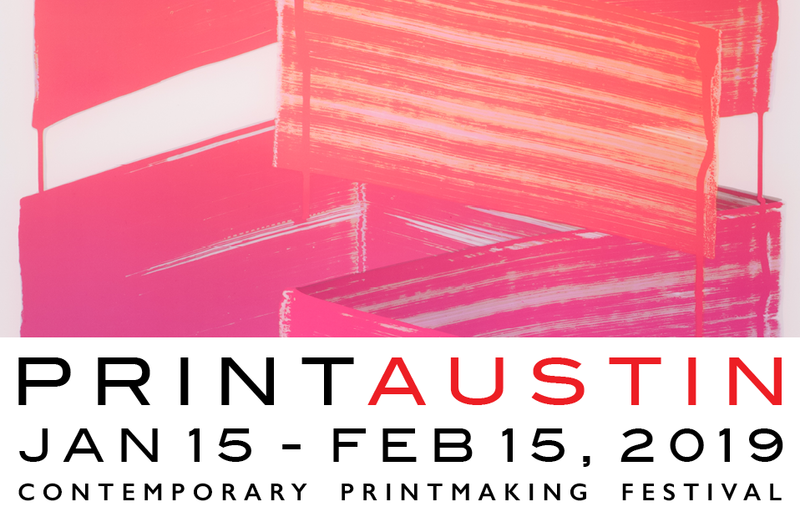 Pas tell his story chronologically, tracking the careers of artists such as Marcel Broodthaers (1924–1976), Jef Geys (1934–2018), and the collaborations be-tween Dr. Hugo Heyrman, Panamarenko and Wout Vercammen (1938–2018). The influence of Happenings, Pop Art, Minimalism, the sexual revolution and the burgeoning of conceptual art also serves as a guide to the reader. The research presented here is thorough and detailed, and each publication mentioned is documented and pictured through a system of illustrated endnotes. The third chapter, “Demonstration: A Belgian Bookshelf,” is a catalog of the works that appeared in a 2017 exhibition sharing the same name as Pas’s volume, at the Maurice Verbaet Center in Antwerp. The illustrations in this section are larger than those in preceding chapters—full-page images of covers and internal spreads that offer highlights of works such as Happening News, no. 1, from Heyr-man, Panamarenko, and Vercammen; Signal by Luc Tuymans; and the bulletin Kempens Informataieblad, Speciale editie Balen, edited and produced by Jef Geys. Designed by MER. 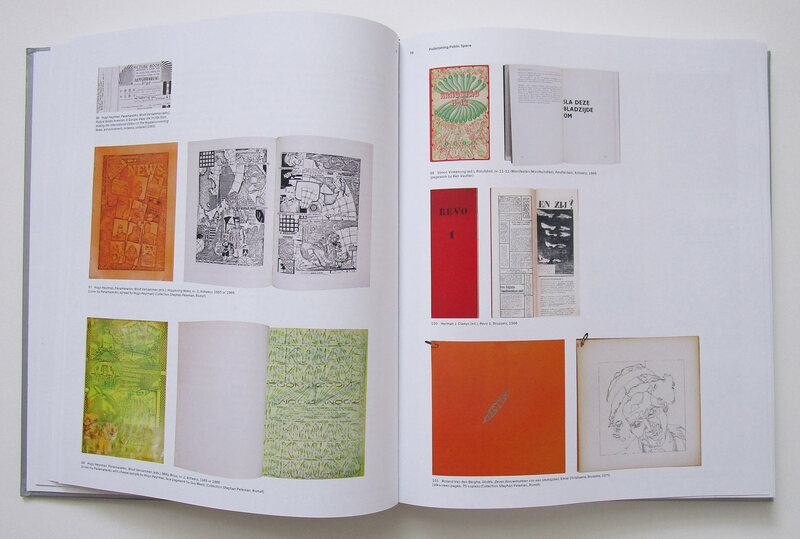 Paper Kunsthalle, under the direction of Luc Drycke, Artists’ Publications: The Belgian Contribution ranks among the most expansive and informative of the numerous artists’ book anthologies that focus on specific nations.